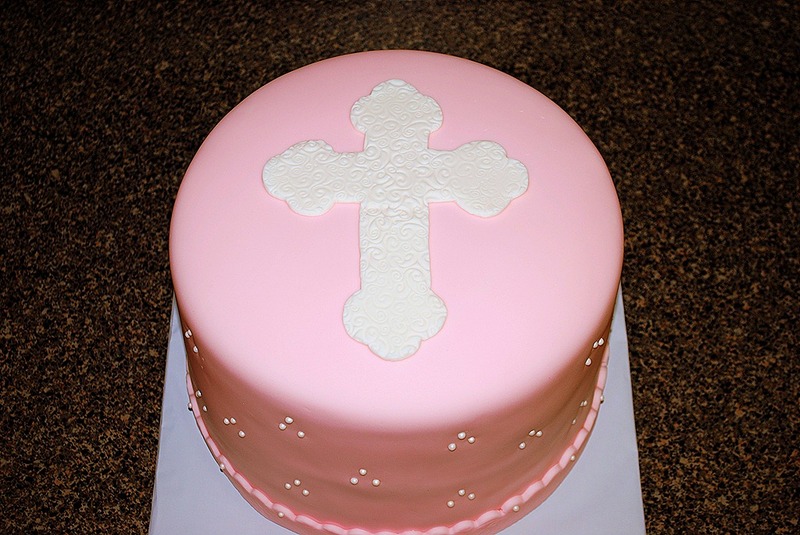 A sweet, simple cake for a sweet baby girl’s christening. This was my last order of the weekend. 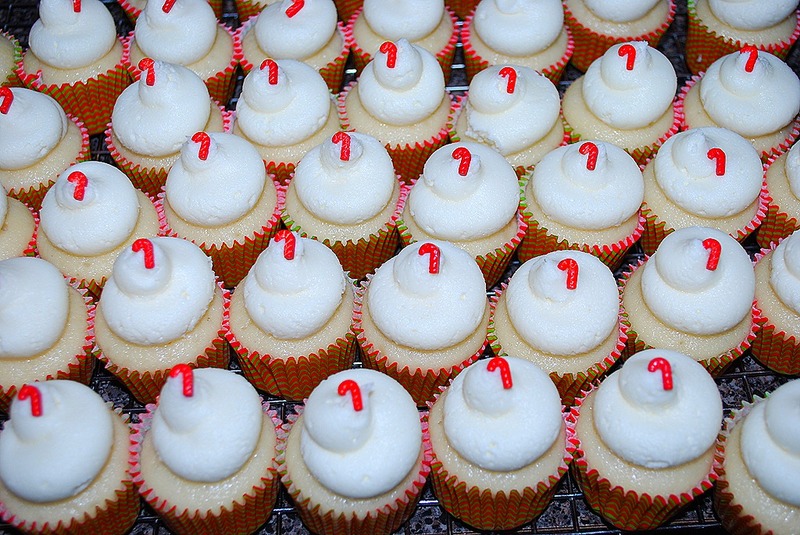 I had already done 3 dozen cupcakes with fondant toppers and 4 dozen iced cookies. 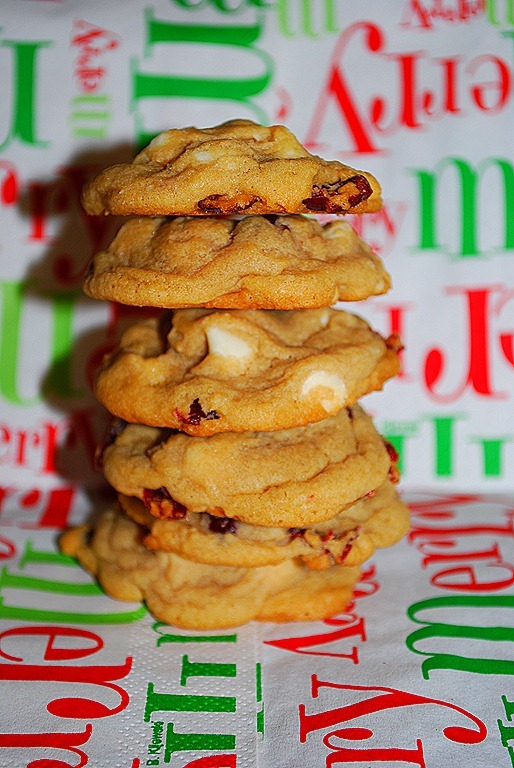 I am trying not to take every order that comes in—after the fall craziness of baking nonstop, I want to take it easier. But, I just couldn’t pass this order up. I always like doing something I have not done before. 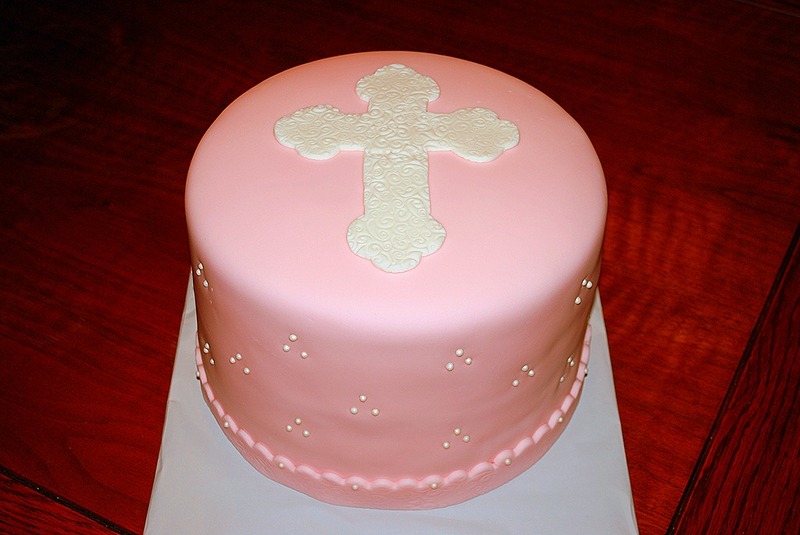 While this was not a complicated order, I had not done a christening cake before. I loved how this came out. 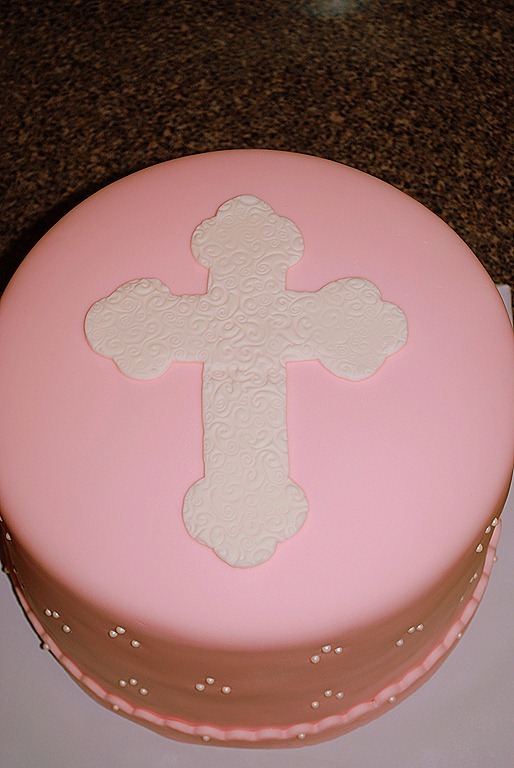 I thought it looked like a christening cake without being overdone. I have zero pics of the process. I always forget to take step by step shots when I have a bunch of orders. She showed me a cross style that she liked for the top. 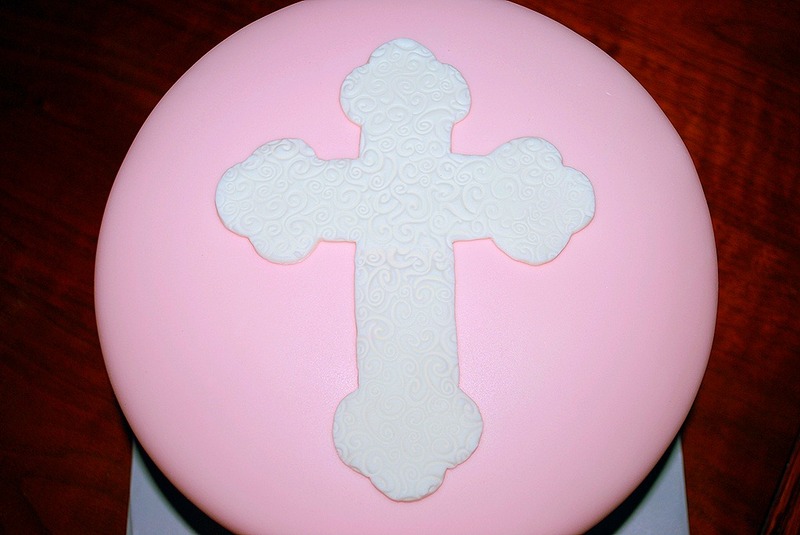 I cut it out of card stock, put it on the fondant and cut the fondant with an exacto knife. Once I had it cut out, I used one of my impression mats to give it some texture. I wanted it to be a little different and thought that the swirl pattern was just perfect. 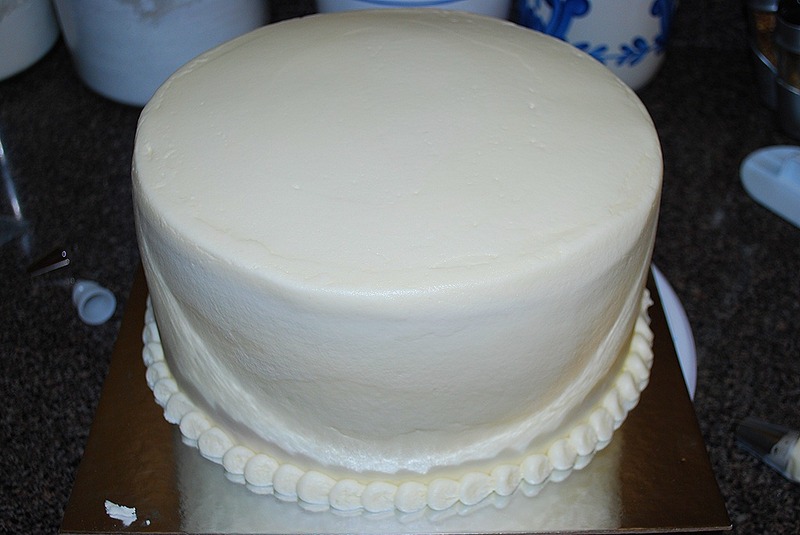 I used the same swirl mat on the border for the bottom of the cake. I rolled it out, cut it to the width I wanted and then pressed the mat on it. Then I went through and cut the top edge with my scallop cutter. I had it straight and thought that the scallop edge would be something else to dress the cake up. 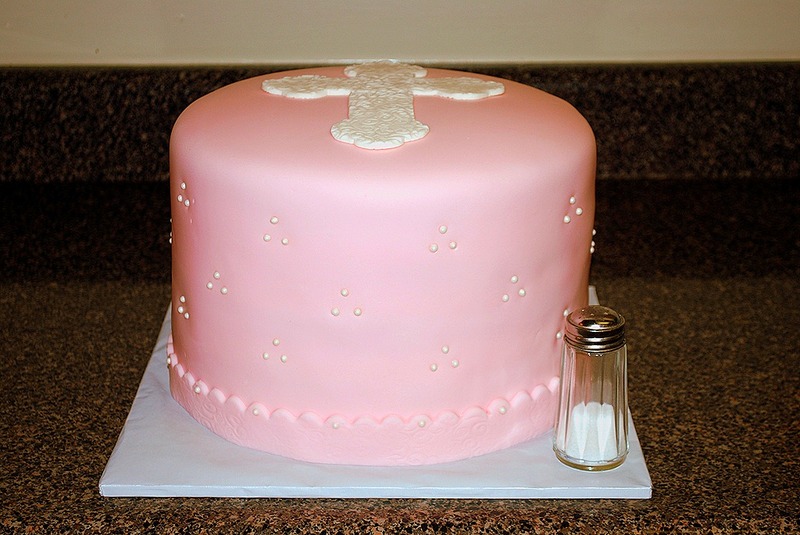 I put a pearl design around the sides of the cake. 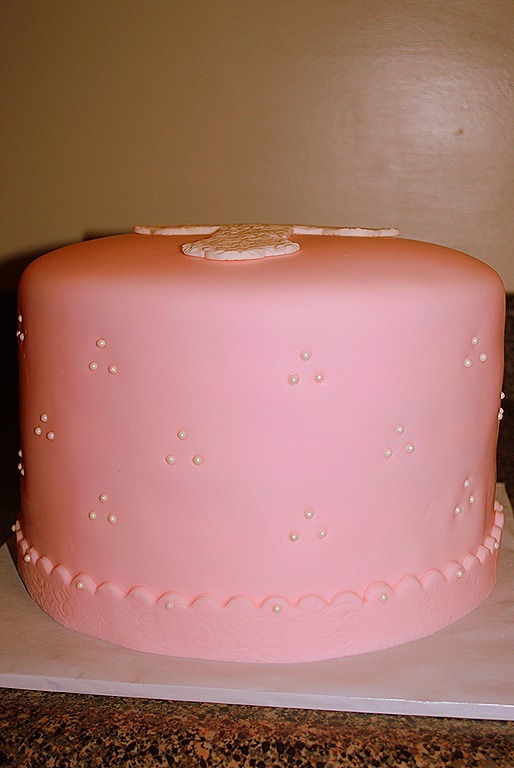 I used a fondant tool to poke little dents in the cake. I put a dab of water in the holes and put white pearls in the dents. I was worried that they would pop out, but they stayed—even on the bumpy road to delivery! My cakes are always three big layers of cake. It makes for a nice sized cake. For this order, she wanted an extra tall cake, so I added two more layers to it. It was crazy big—a 10inch, 5 layer cake. That would be a super slice of cake! In the end, I was super happy with this cake. It was simple, but made a statement. I loved the whole look of it—the scalloped parts and the pearls came out just like I wanted. I am always pleasantly surprised when the finished product looks like the vision I had in my head. The customer was thrilled with the cake and that is the best part of any order. Enjoy! Who doesn’t love Legos? 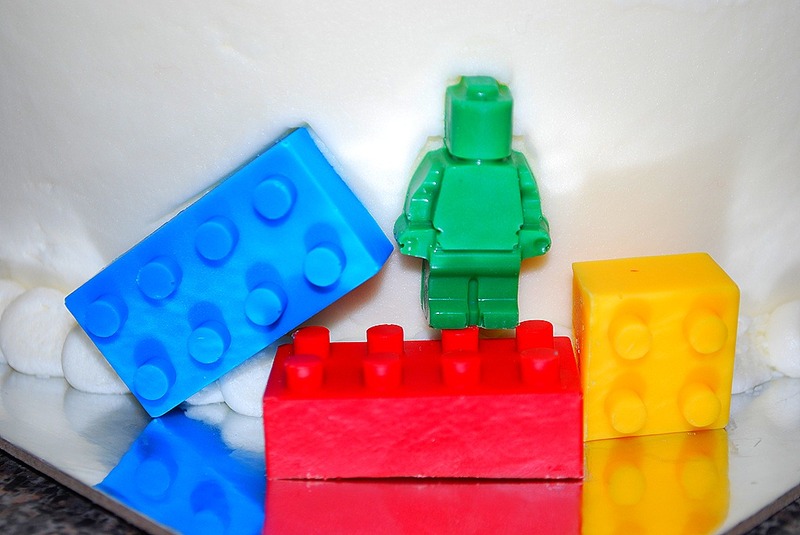 I would say that just about every kid had some Legos growing up—some adults still do. 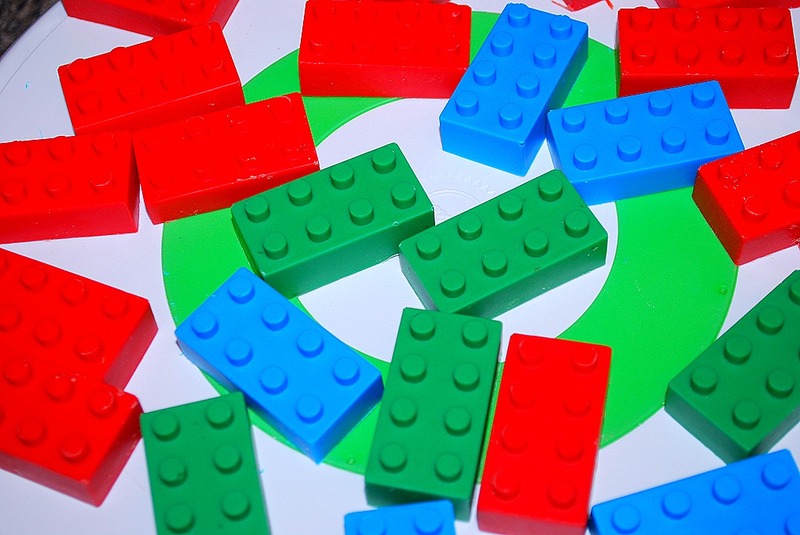 Legos are one of those great toys that has been around forever and will stay around forever. 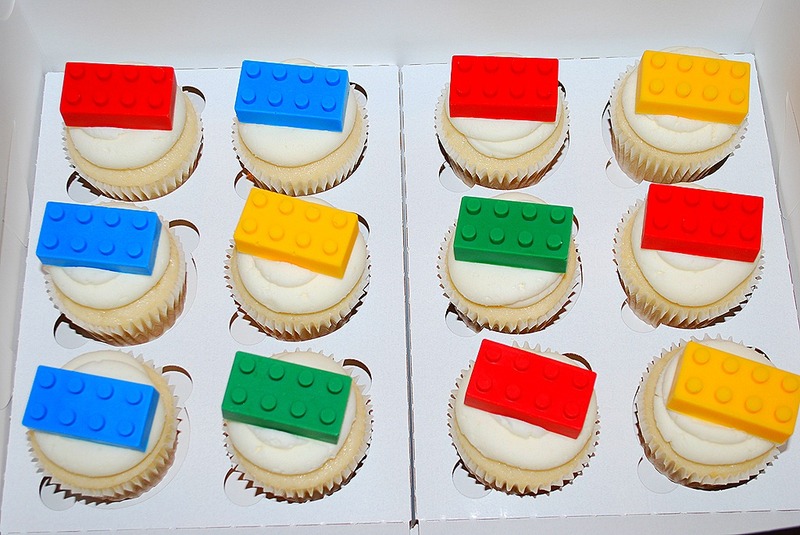 So, as long as there are Legos to play with, there will be Lego cakes! 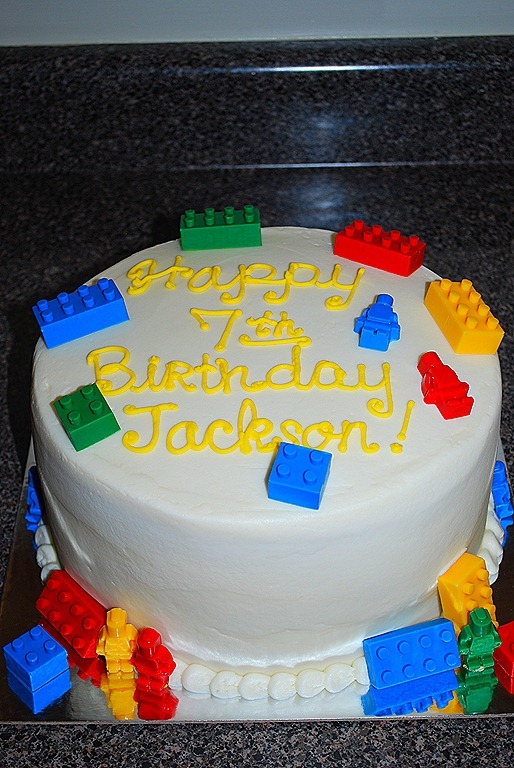 I had an order for a Lego cake and Lego topped cupcakes. Man. 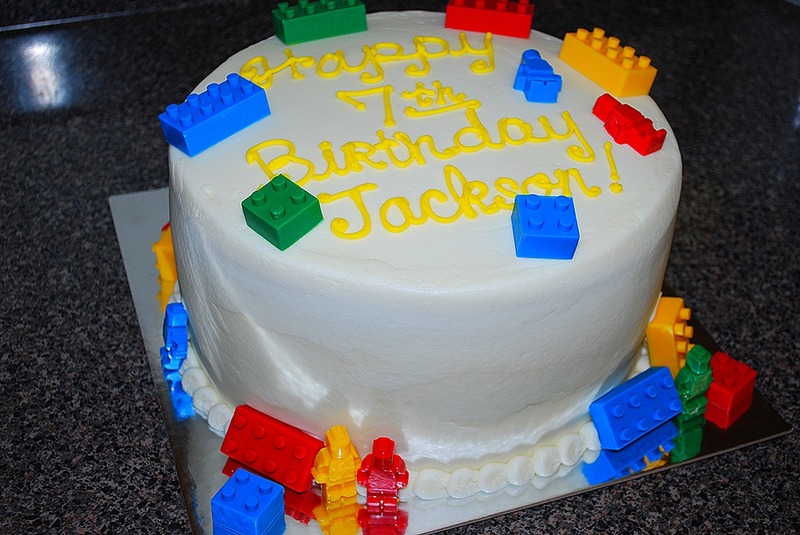 There are some bad Lego cakes out there. I mean, really bad. So bad that I would not have even served them, much less taken a picture. 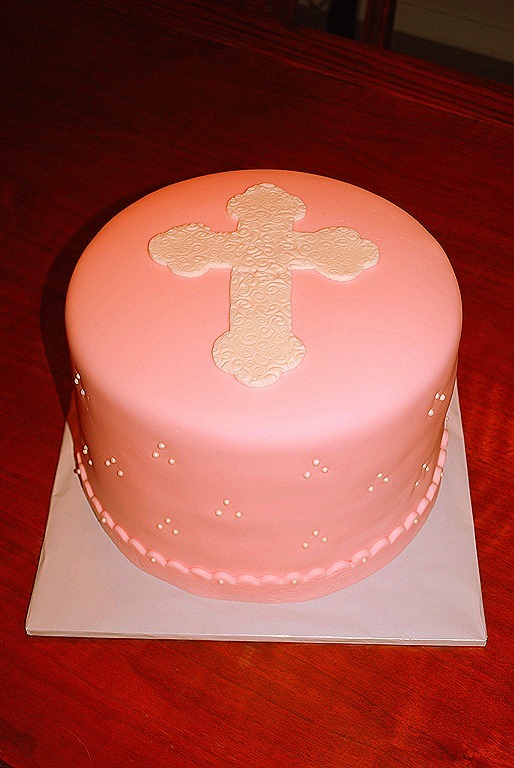 The first thing I do is a search for cakes—it took awhile, but I found one I liked! One of the best things about this cake was that I got to order a new baking toy. I get way too excited about new baking stuff. I get all excited when I order them and all over again when it gets here. Living in a town with a Walmart and not much else, the internet is my source for all goodies. 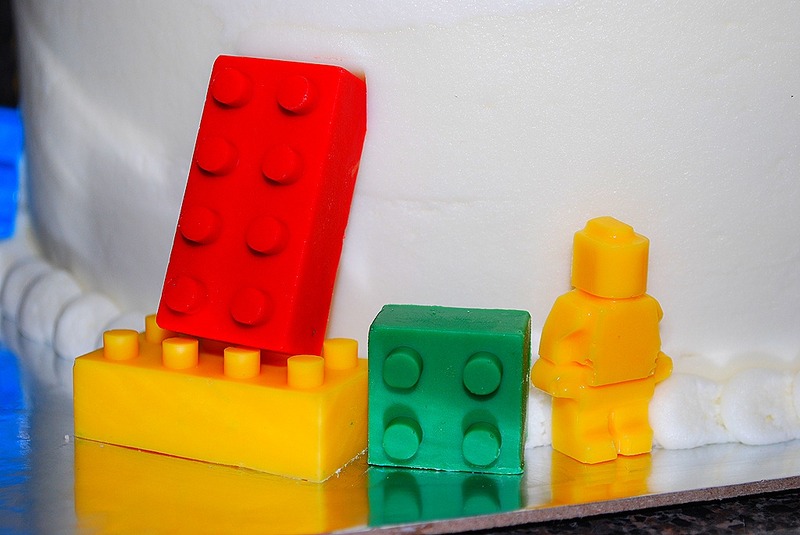 The first thing you need for a lego cake is lego pieces. I used candy melts for them. 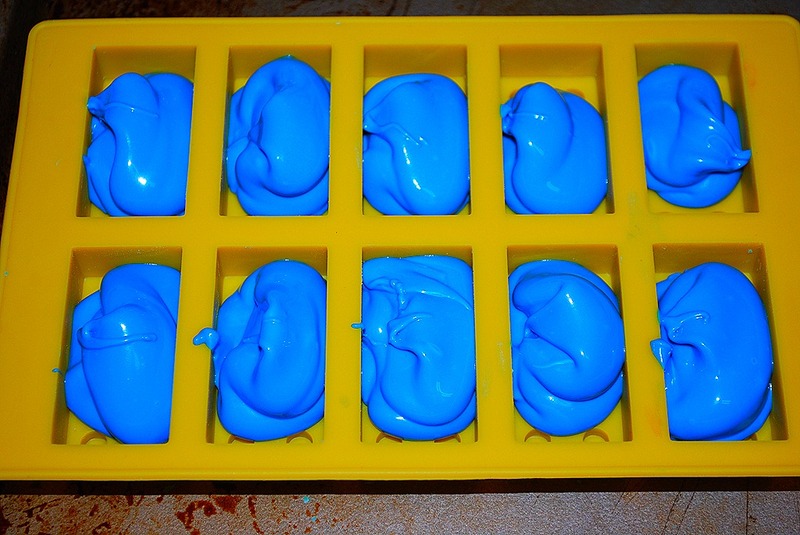 I spooned it in the mold and tapped the mold to spread it around. The most important part is to keep tapping until bubbles start to come up. If you don’t do that, the tops of the legos will have air bubble holes in them. I made these a couple of days in advance and kept them in tupperware. I used a white cake with buttercream for the cake and the cupcakes. 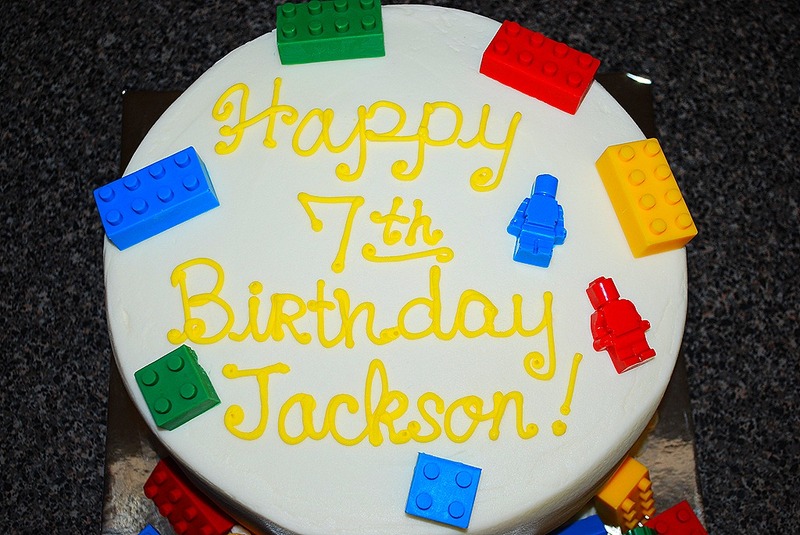 The cake was frosted and smoothed, piped with a border and ready for legos! 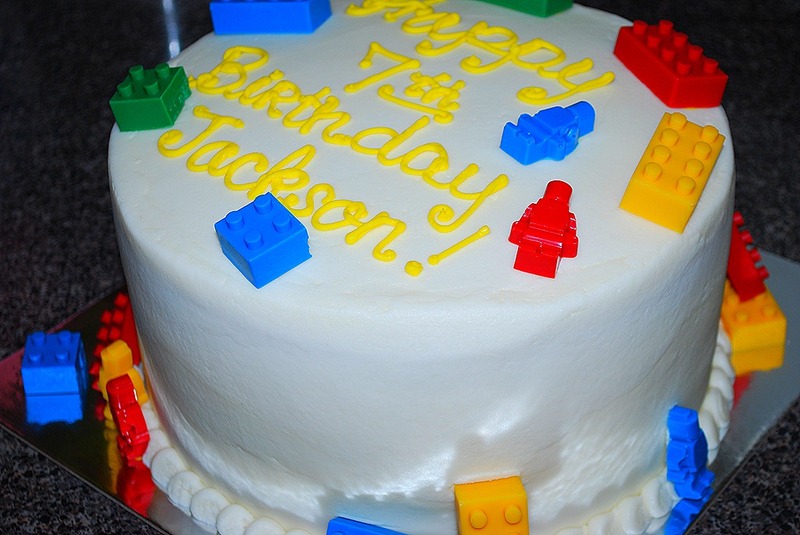 I put some legos around the top and around the bottom of the cake. I figured that the pieces were too heavy to put on the sides of the cake. 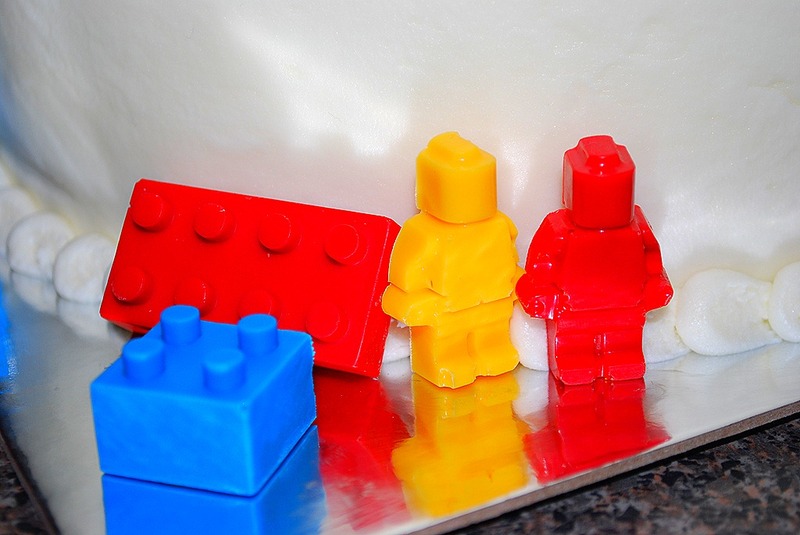 I loved how the lego pieces and little lego men looked on the cake. It was super cute and the customer loved it. 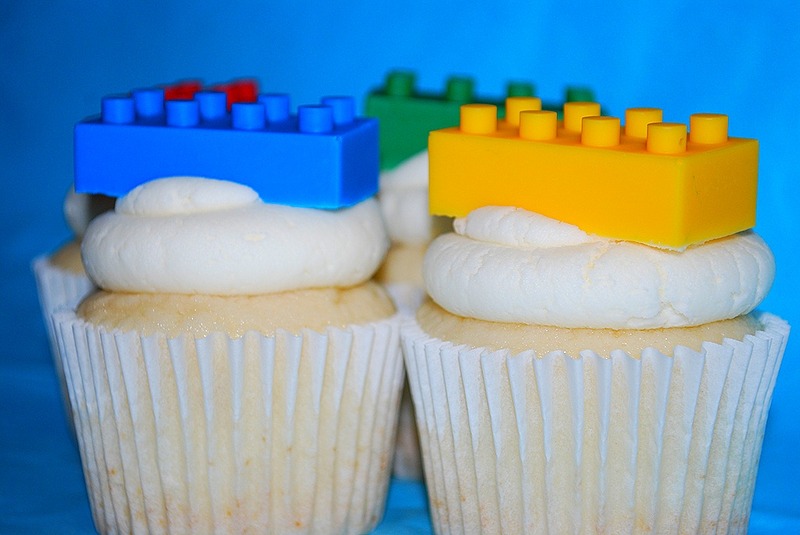 The cupcakes got a small swirl of buttercream and were topped with a lego brick. I was super happy with these. The cake and the cupcakes were just too cute. 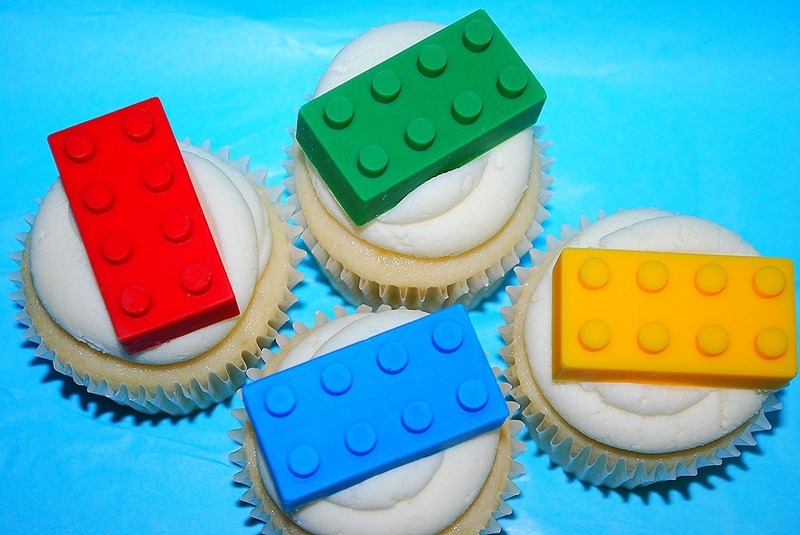 I can’t wait to do more lego themed baking!! Enjoy! I only have finished pictures for this short and sweet Christmas day post. I did some mini cupcakes and petit fours for an order and work this week and wanted to post the pics. I guess you could say that cupcakes and petit fours are just a few of my favorite things. 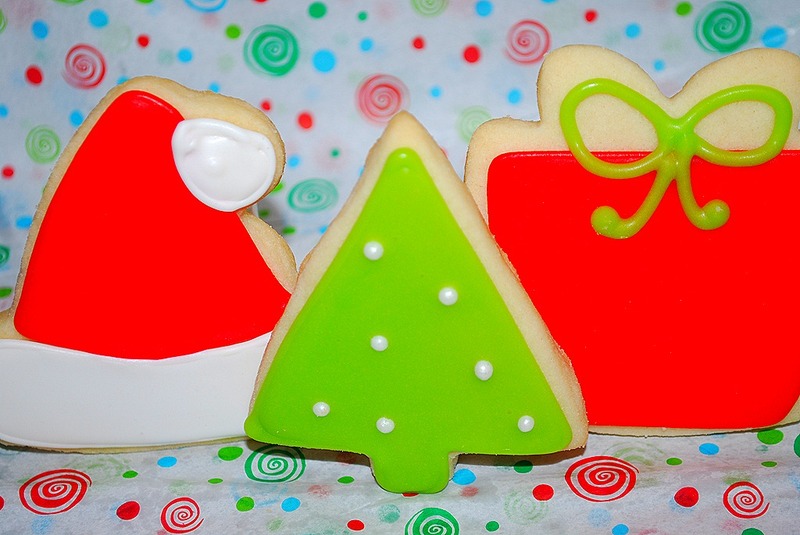 I think that things just look cuter when decked out in their red and green. I hope that your holiday was filled with all of your favorite things. I hope that the rush of the holiday was met with calm and enjoyment with the ones you love. Whatever you celebrate, let it be joyous. The end of 2012 is just around the corner. May the end of your year be filled with laughter, love and peace. And may that continue throughout the coming year. Enjoy!! 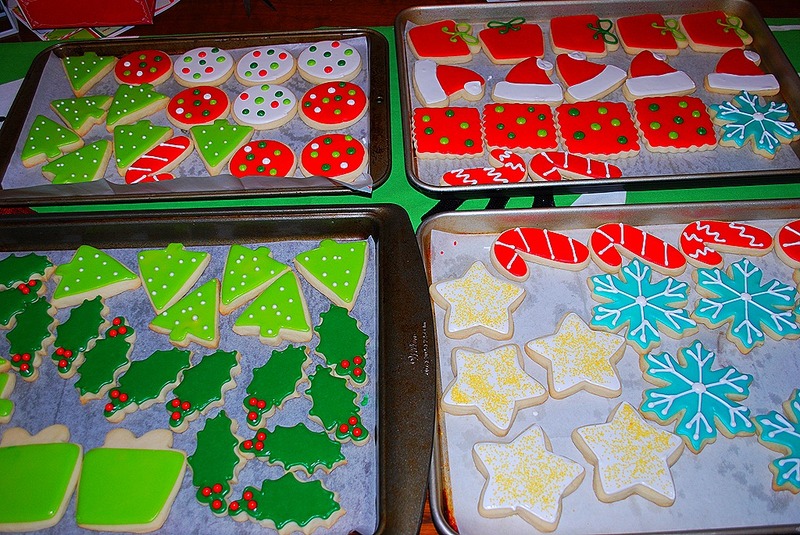 I love to make cookies. I usually tend to make cookies small. 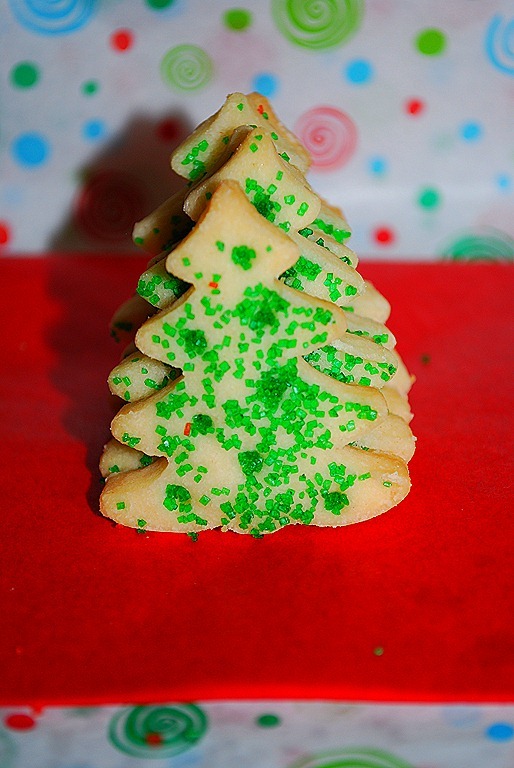 I always make butter cookies at the holidays. 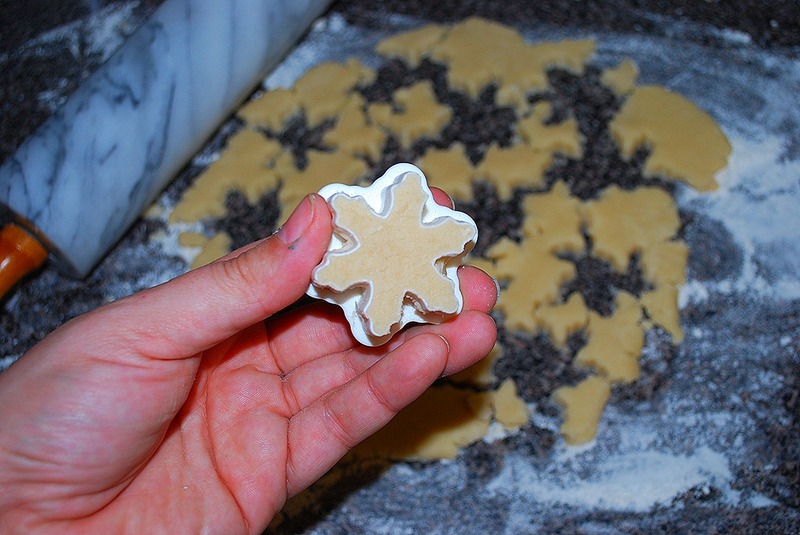 This year I was playing around with the plunger cutters that I have for pie crust. I figured that if they work for pie crust, they should work for cookies too. And, turns out I was right. I used the dough as usual and press the cutter into it. 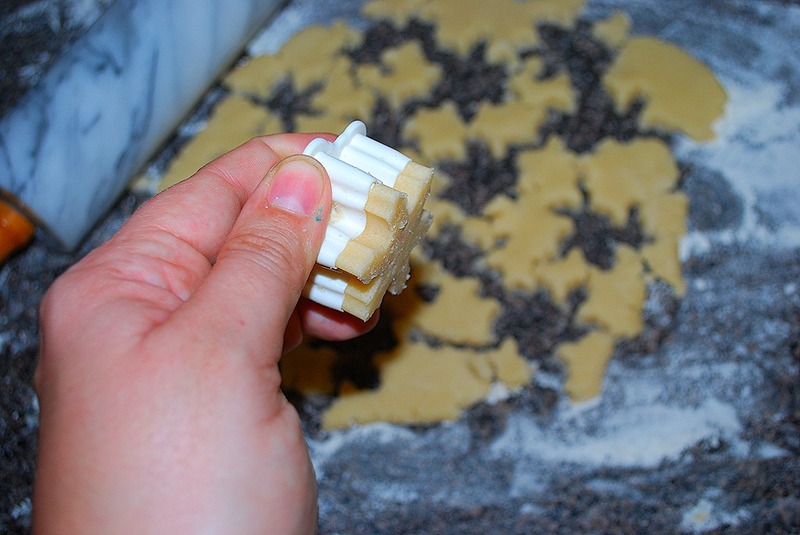 With the cutter in the dough, press down on the plunger part. Pull it up and press the cookie out. 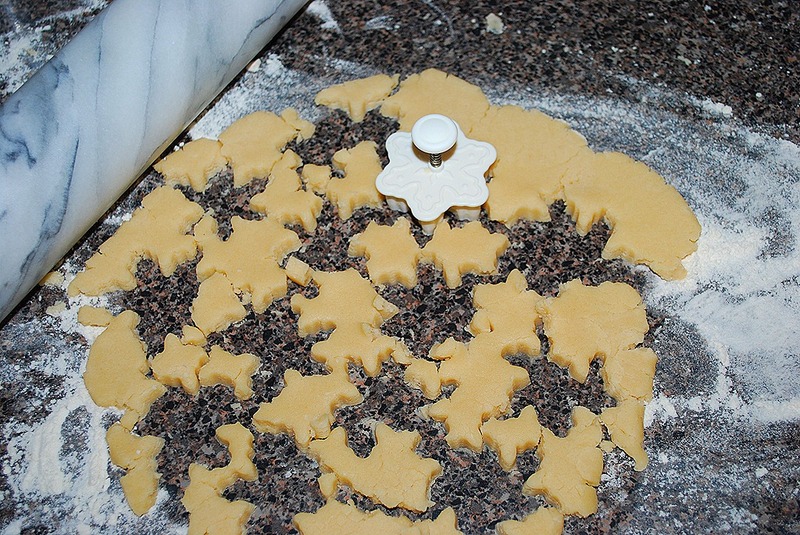 The plunger action makes a great design in the cookie dough. I got them all on the cookie sheet and loaded them up with the sugar. 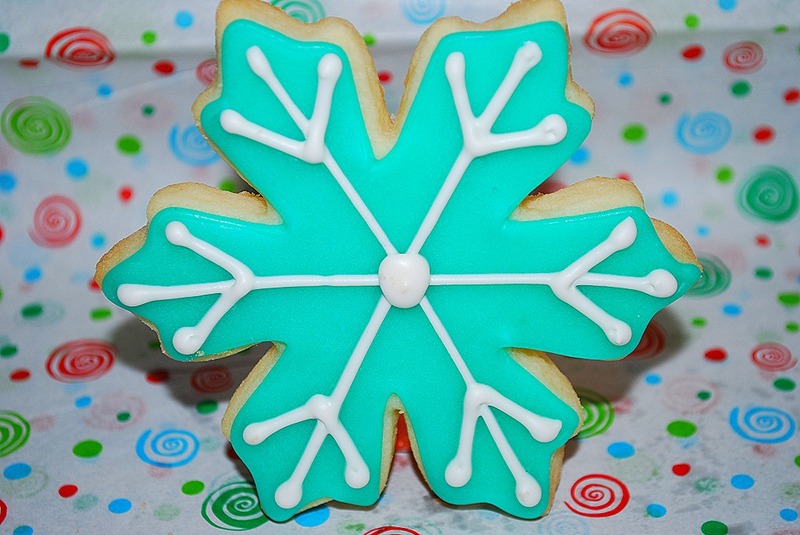 I did the snowflakes in blue and white, but the white did not show very well. The trees got green and the sleighs got red. 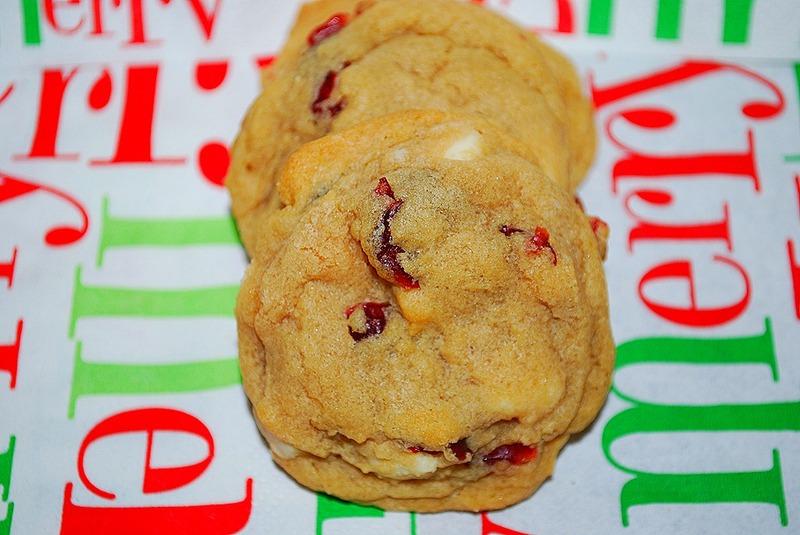 They were super easy cookies for the holiday. 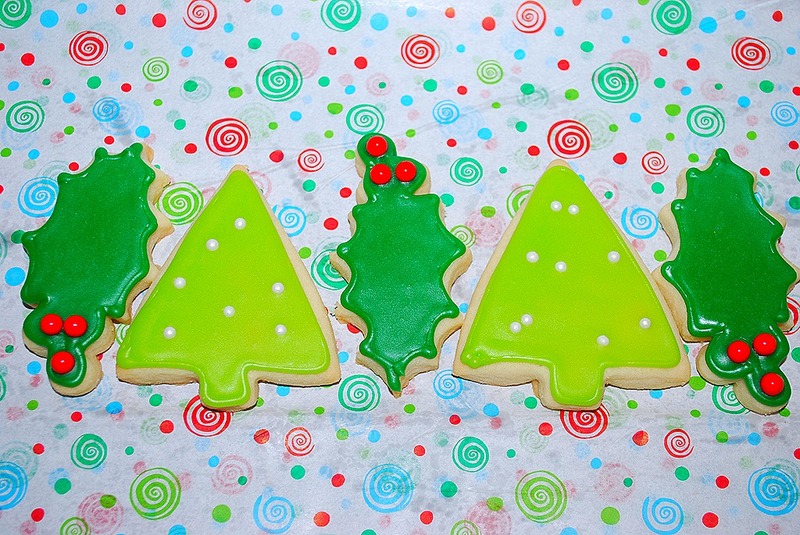 I will so being doing these with the rest of my holiday cutters. Enjoy!! Yum, yum, yum. These might be my new fave cookie. 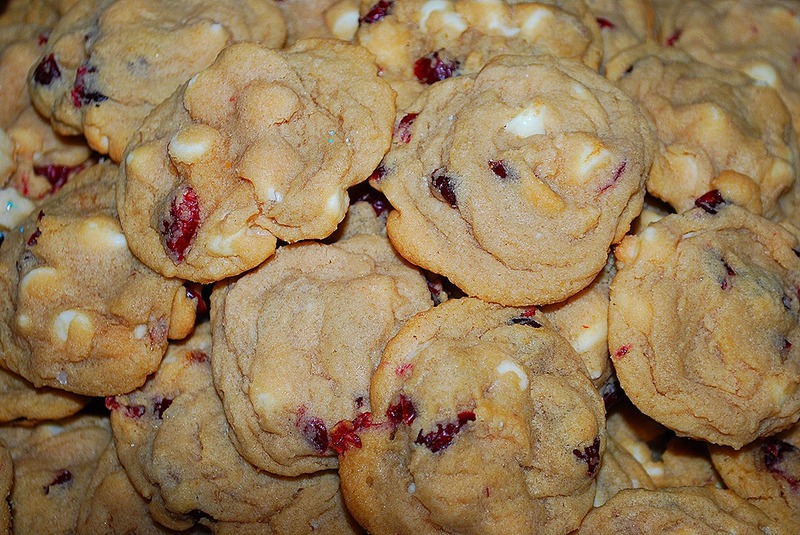 The cookie part was good enough, but add in white chocolate and cranberries. The best. 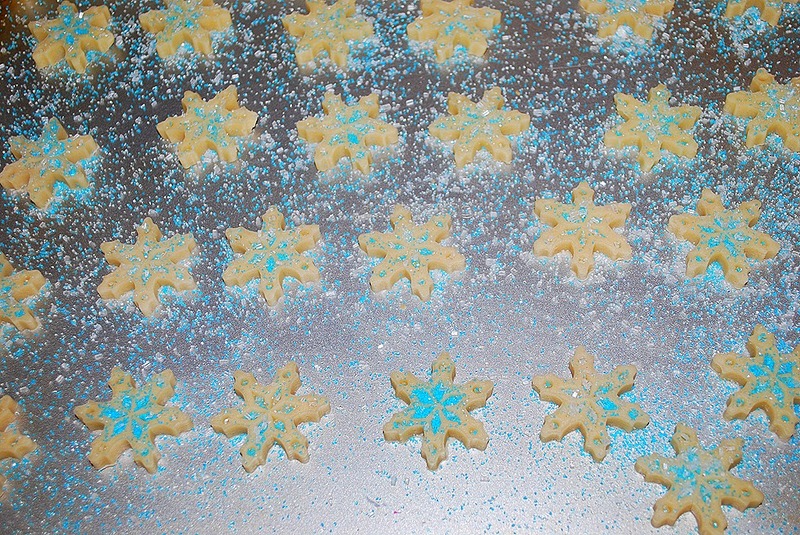 I have seen the posts about adding cornstarch to your cookies—something about them being fluffier. 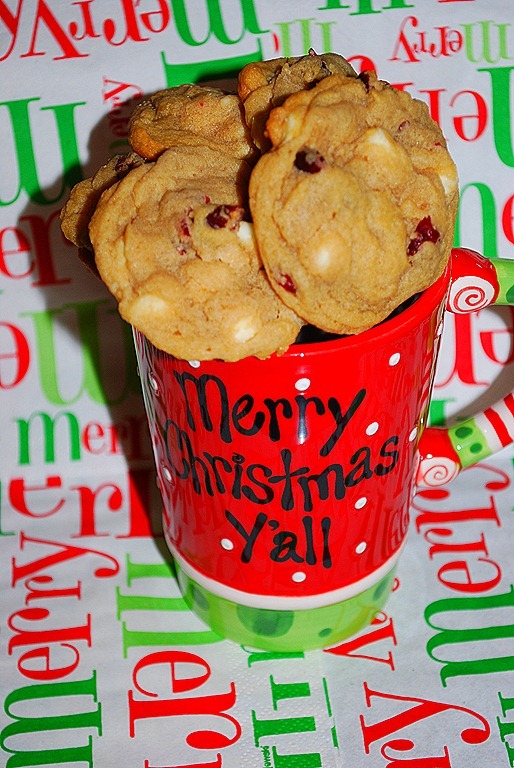 I kinda thought yeah, yeah…I like my cookies the way they are. Well, once I saw these on Pinterest, I just had to try it out. Man, they were not kidding. Fluffy, soft with just a bit of crunch around the edge. Delish! The butter and sugars are creamed together. 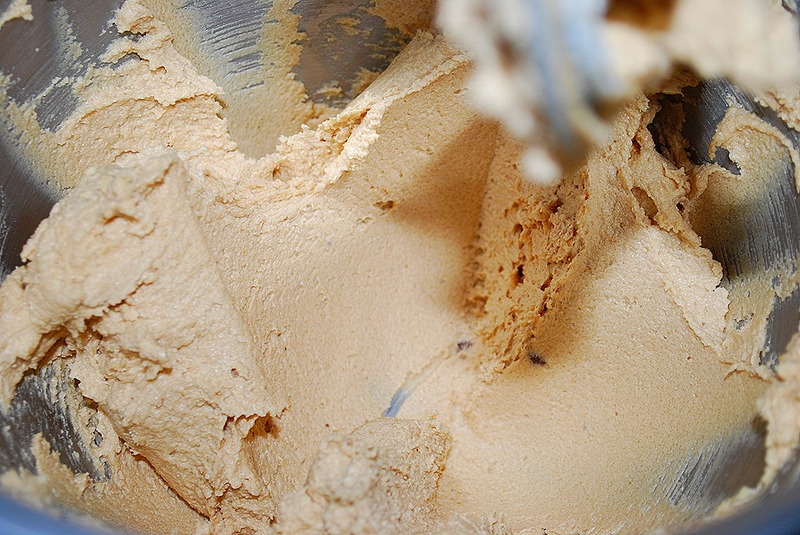 I always use pretty cold butter and give it a whirl for awhile in the mixer. I don’t like room temp or too soft butter. To me, it makes the cookies spread too much while baking. 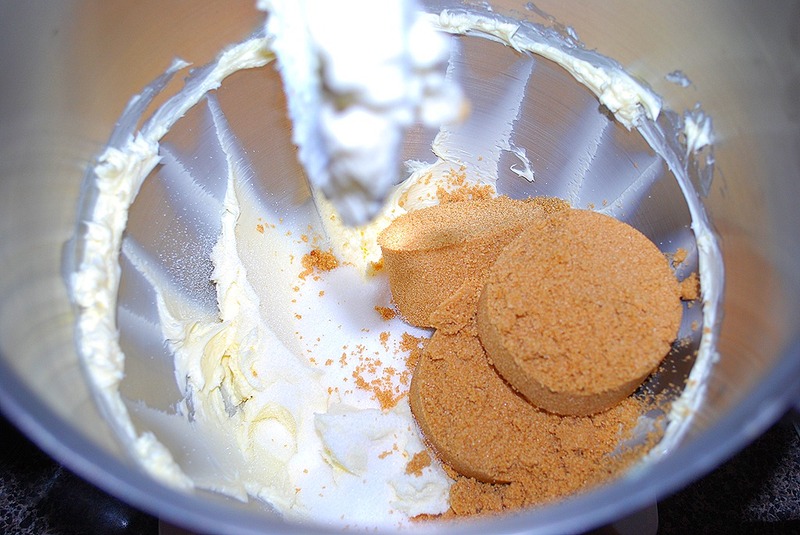 When the butter is good and creamy, then I add the sugars and mix until they are smooth and combined. 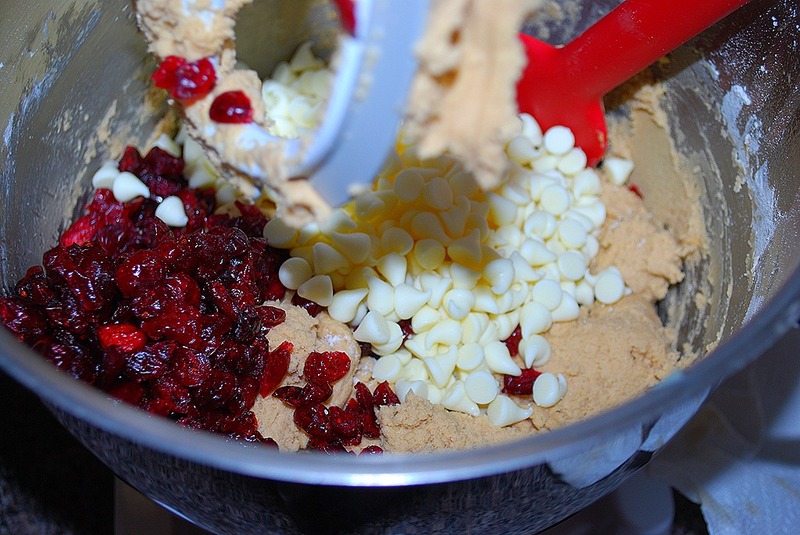 Add in the white chocolate chips and dried cranberries and you are good to go. Really, you could add anything at this point. I definitely see me trying the basic dough recipe with different add-ins in the future. I used my small cookie scoop to measure them out. I smooshed the tops down just a bit before they went in the oven. They bake for about 8 minutes and they are all done. They puff up and are soft and chewy. 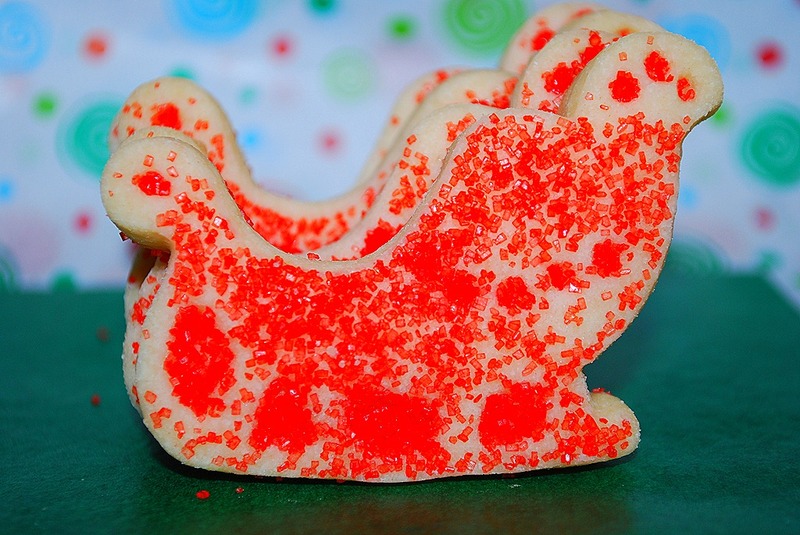 Really a rad cookie. I guess all those folks were right. 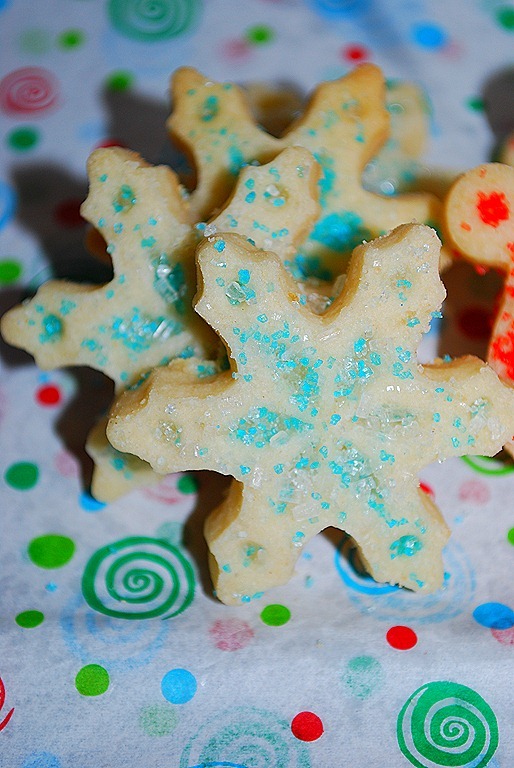 There must be something to that whole cornstarch in cookies thing. 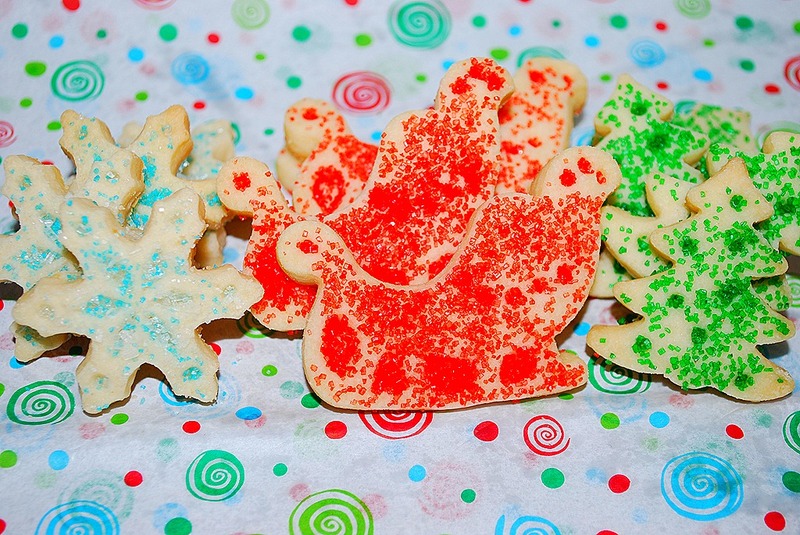 These were great cookies. I made them for hubs to take to work. I liked them so much that I made them for my teachers too. They were a hit all around. Go get the stuff for them and make some today. You will be glad you did. Enjoy!! Preheat oven to 350F. 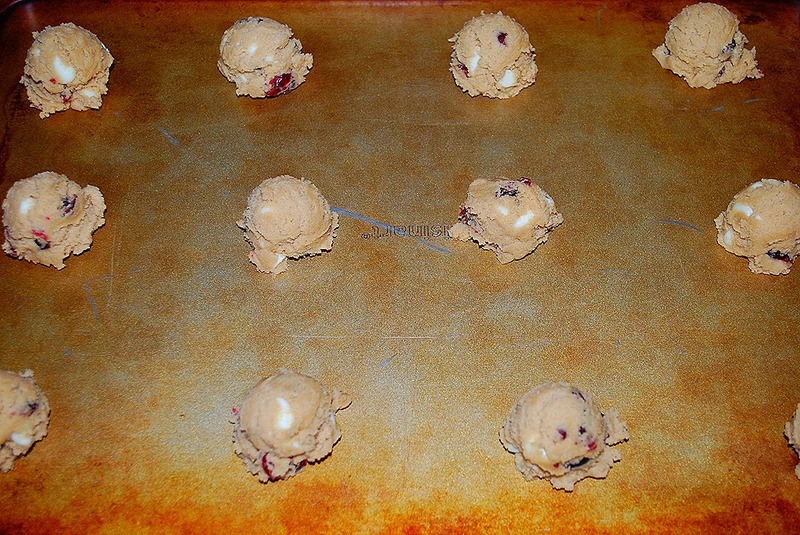 Drop balls of dough onto cookie sheet using a standard-sized cookie scoop. Bake for 8-9 minutes, until barely golden brown around the edges. Do NOT cook them longer than 9 minutes. 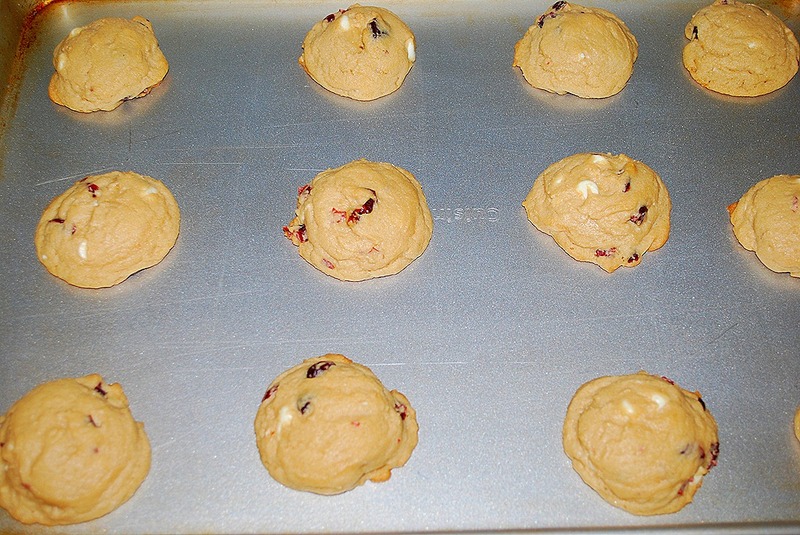 Remove and let cool for 5-10 minutes on the cookie sheet. Transfer to cooling rack. Try not to eat them while they cool. My butter cookies was the very first post I had on here. At the time, that was what I was most comfortable making. I really just made butter cookies and chocolate chip cookies. Crazy to think of all that I have made since then. I used to make them with a buttercream time frosting that I spread on. That will always be the way I remember them. 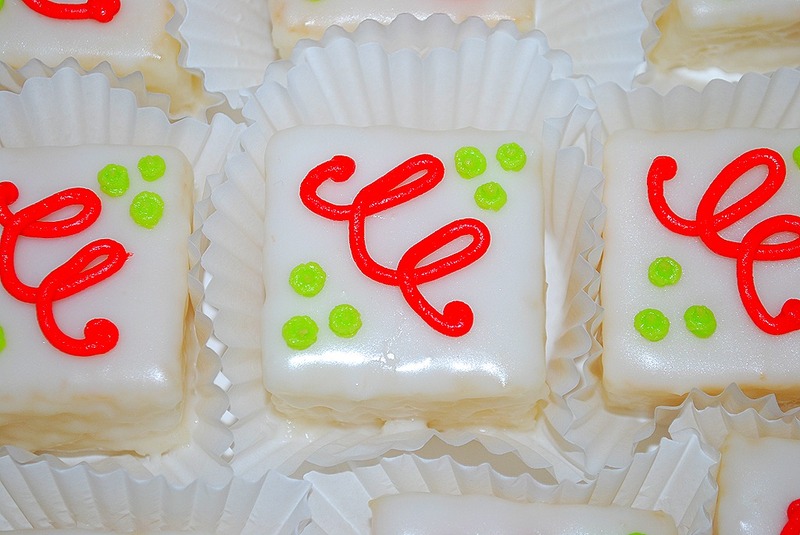 But, wanting to try something new, I went to a new icing for me. 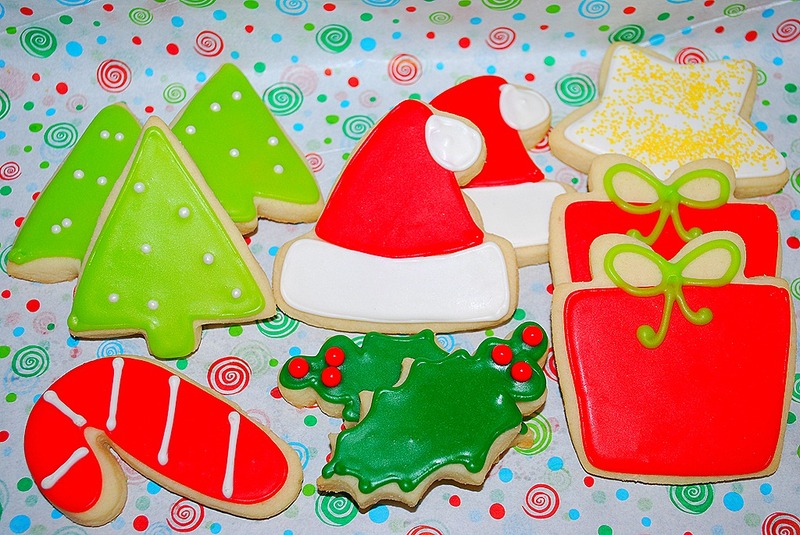 I loved the way the royal icing cookies look. 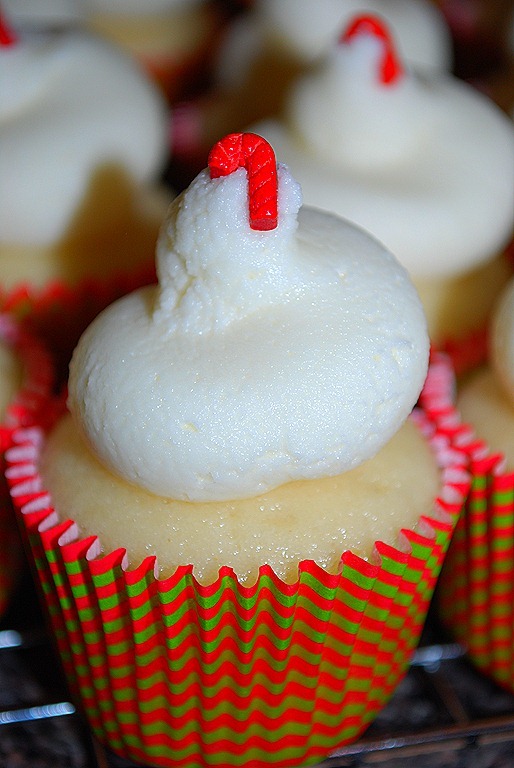 They are perfect and detailed—a look that cannot be achieved with buttercream frosting. 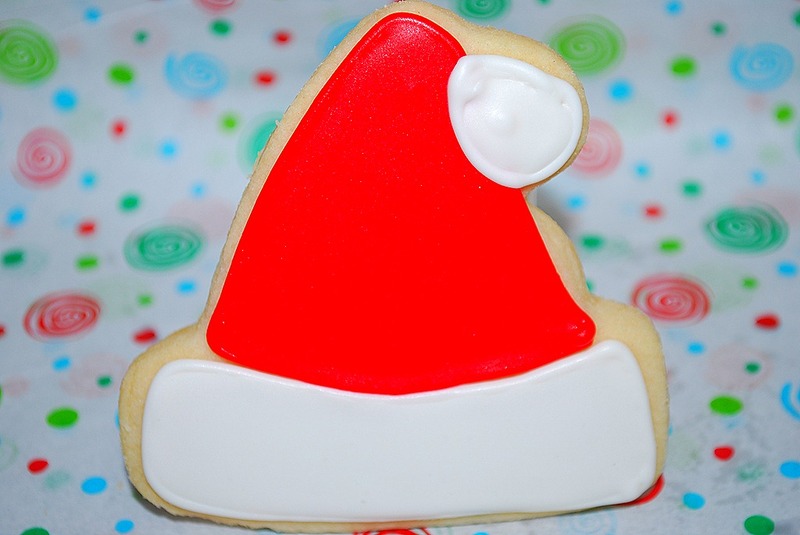 I started last year with a royal type of icing on my cookies. 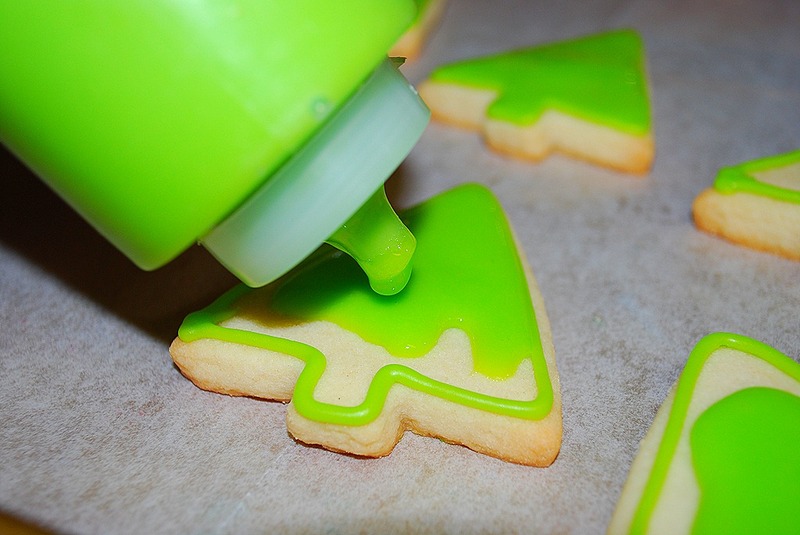 While I love the look of royal icing, I think it tastes like crap. I mean, you can add flavors to it to help it out, but most people don’t . It is too hard and just not good to me. That it is why I love this one—it dries hard, but still tastes good. I can say that my piping skills have gotten much better from when I started. I still have a ways to go, but folks like them, so that is good. 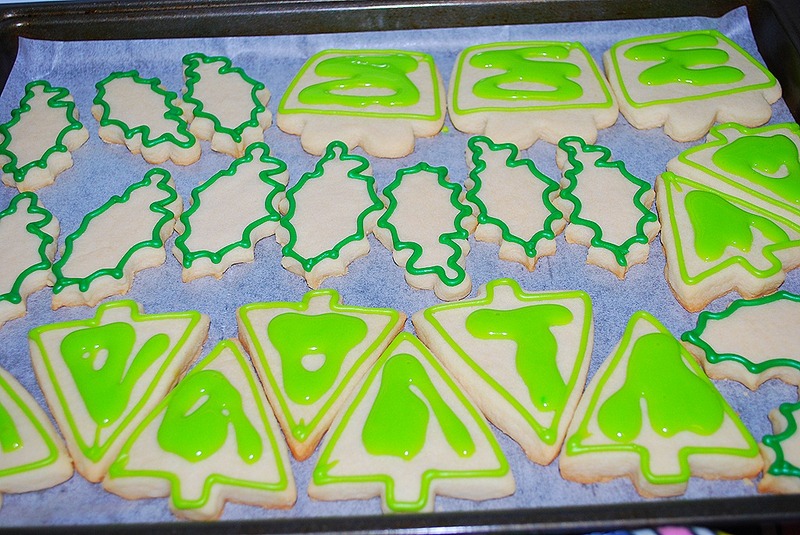 I always like to do Christmas cookies. And this year, if I had to do one more cowbell or paw print I would have screamed! Variety is the spice of life, after all. Since I have done this post before, I won’t bore you with the same details. Just a refresher—these look better, so I figured I would post the pics. I outline with a 3 or 4 tip. That has to dry for a couple of hours. Then I thin out that same icing with more kayro. To fill the cookies, I use the candy bottles. I usually cut the tips to make the opening bigger. 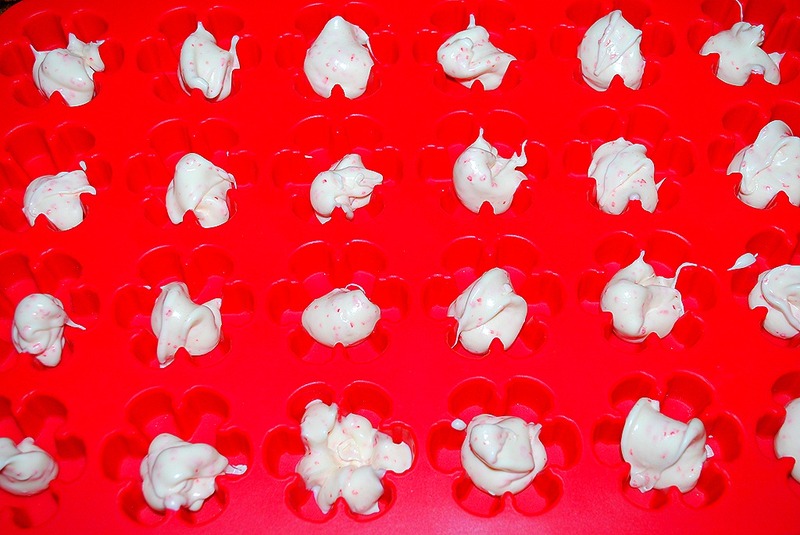 I fill a bunch of them and then go back to spread the icing around. The cookies sit out and dry for at least a day. 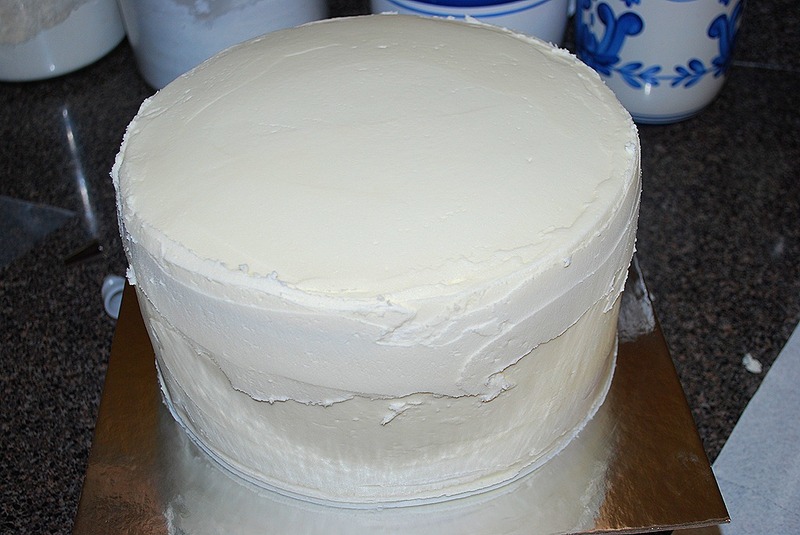 If they are getting another detail of icing that I want to stand up, the bottom layer of icing needs to be set. 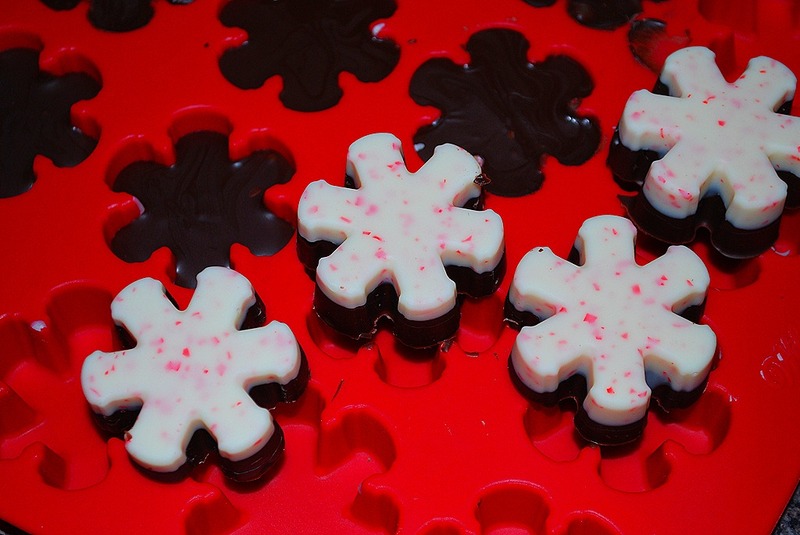 If I want the dots, or whatever I am doing, to blend in, I will pipe them while the bottom icing is still a little wet. I think the best part of these is the different things you can do to them. You can do one style, or try new things. 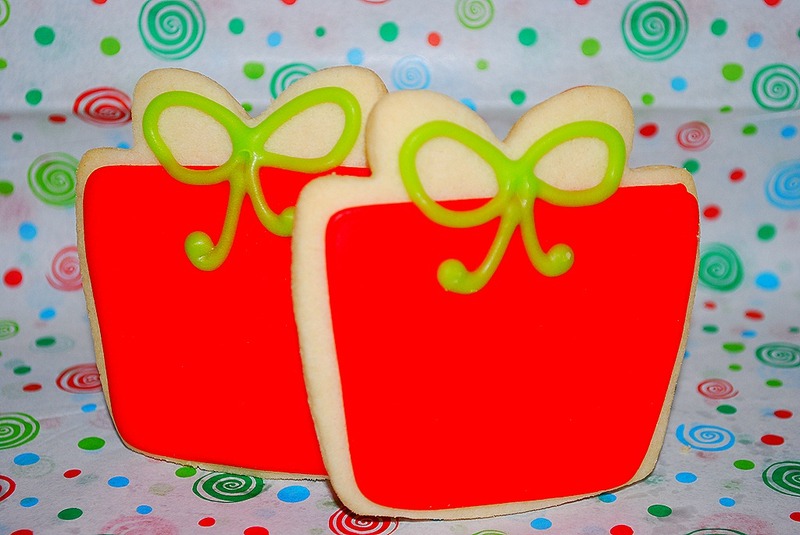 Cut out cookies can be done in so many ways, it is fun to stick to the tradition you have but also embracing something new. I guess that applies to life as well. I hope this holiday season finds your days filled with traditions old and new. Enjoy!! 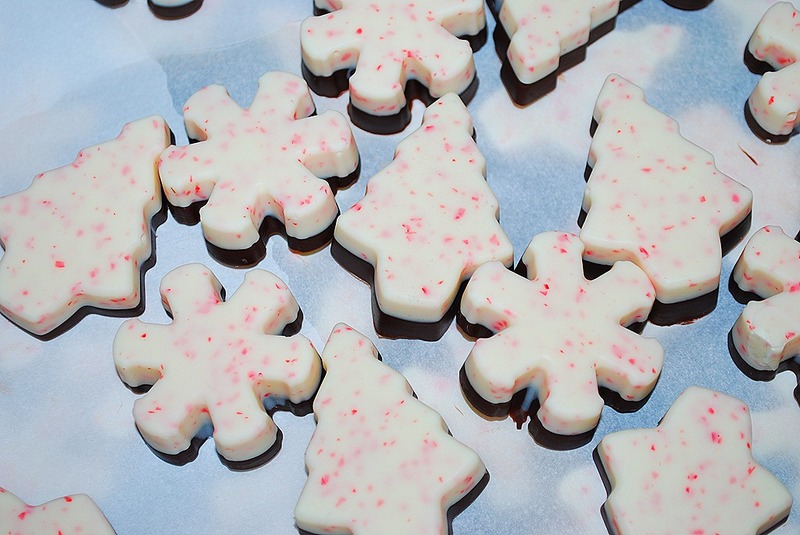 I finally caved and made some peppermint bark. You see it everywhere this time of year. Everywhere from Williams Sonoma to Marshall’s and even Sam’s. This year I decided that I would embrace the peppermint. The past few years have been a little bit of peppermint overload –at least to me anyway. I am all for a little peppermint here and there, but having peppermint candies on ever thing from cakes, cupcakes, cocoa, to crescent rolls is a bit much. While scoping out the free samples at Sam’s one day, I got a piece of their peppermint bark. I really only took it to get the other taste out of my mouth. I was surprised by how tasty it was. Naturally I wanted to make some. I opted for an easier way. 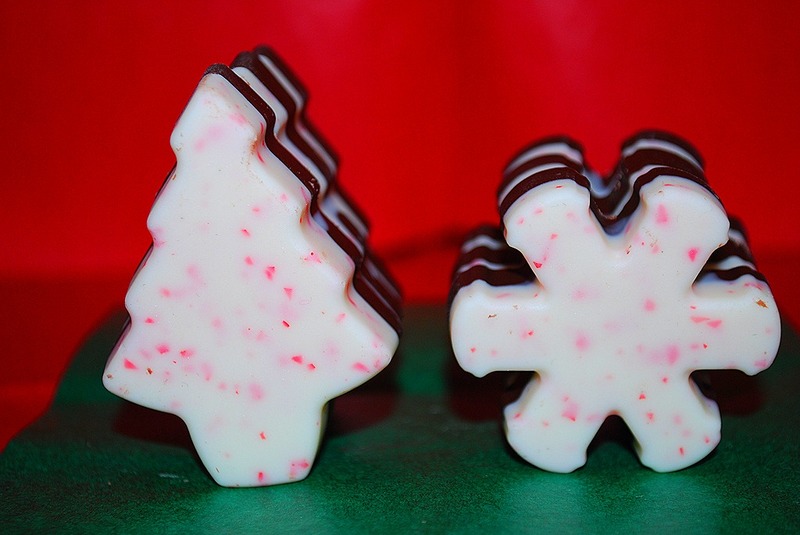 I knew I wanted to do a shaped candy and not the typical broken bark pieces. 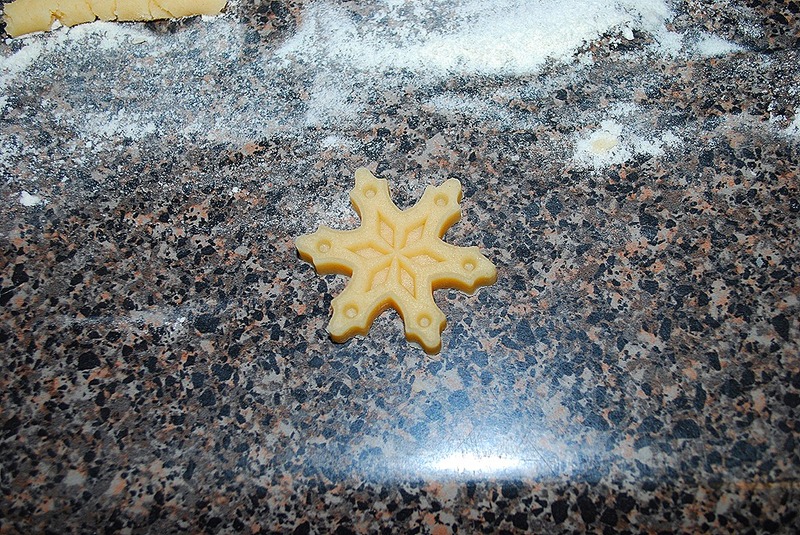 Now I finally had a use for the tree and snowflake silicone molds I bought years ago and never used! 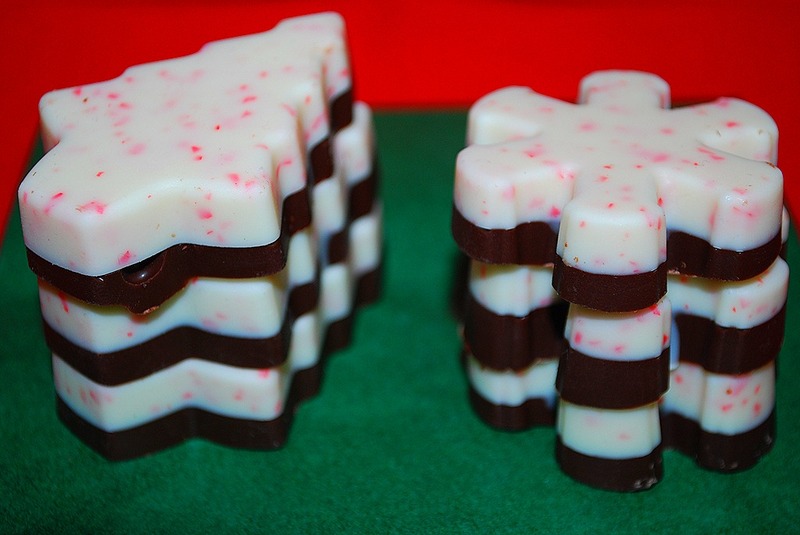 I used a peppermint candy melt for the mint part. I loved this. 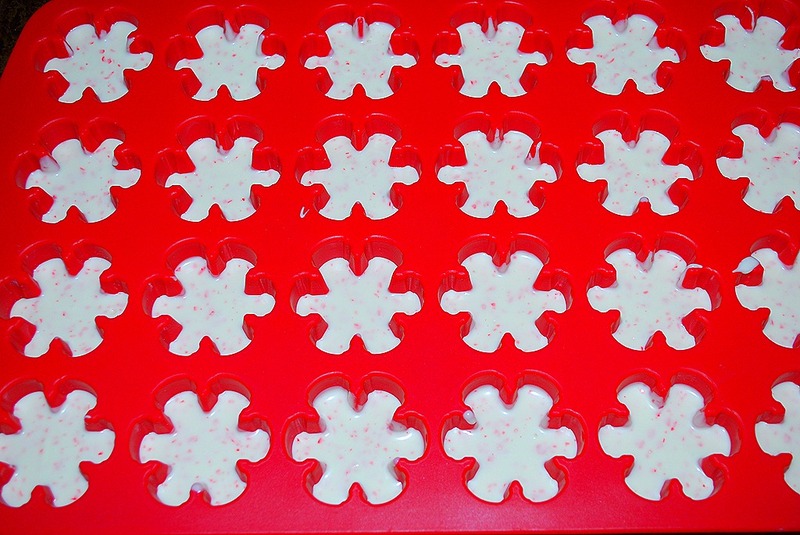 It gave you the peppermint flavor without giant pieces of peppermints getting stuck in your teeth. The other part was a dark chocolate candy melt. I used the Hobby Lobby brand for that. 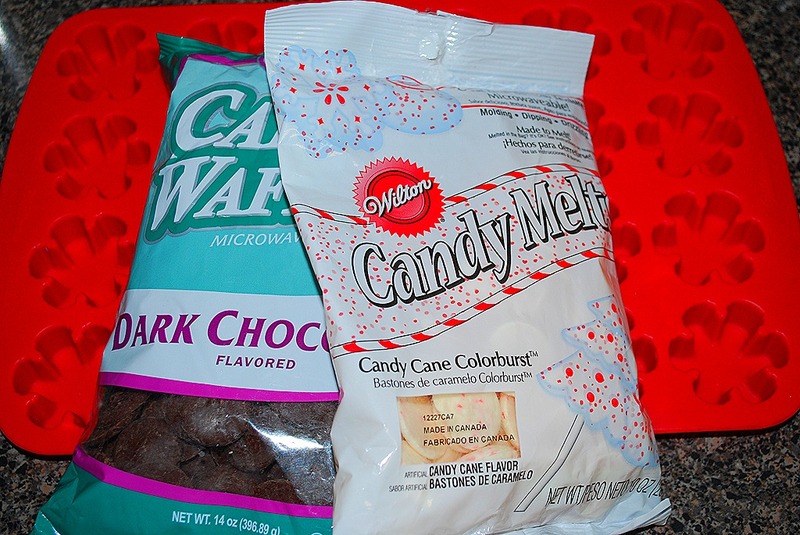 I can’t say enough good things about that brand—so, so, so much better than the Wilton candy melts. Then again, most things are better than Wilton. 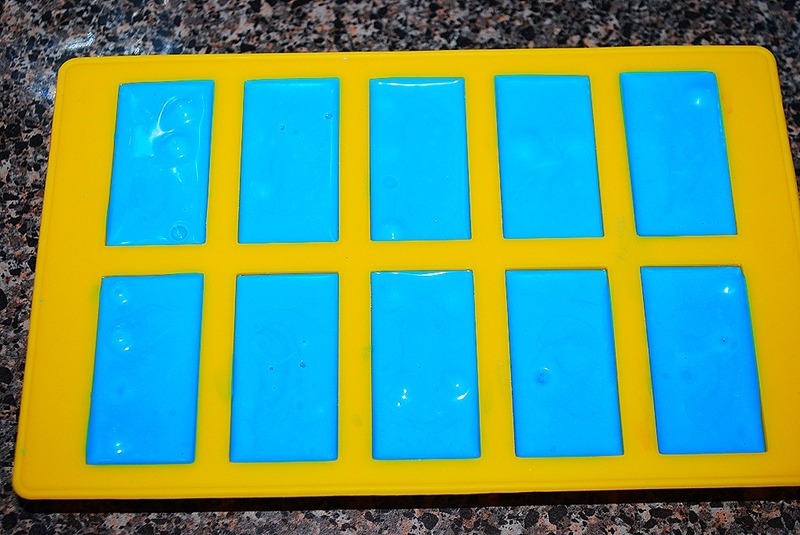 Melt the candy in the microwave until it is liquid and pourable. If it is too thick, you can thin it out with a little crisco. Spoon a bit in each hole. 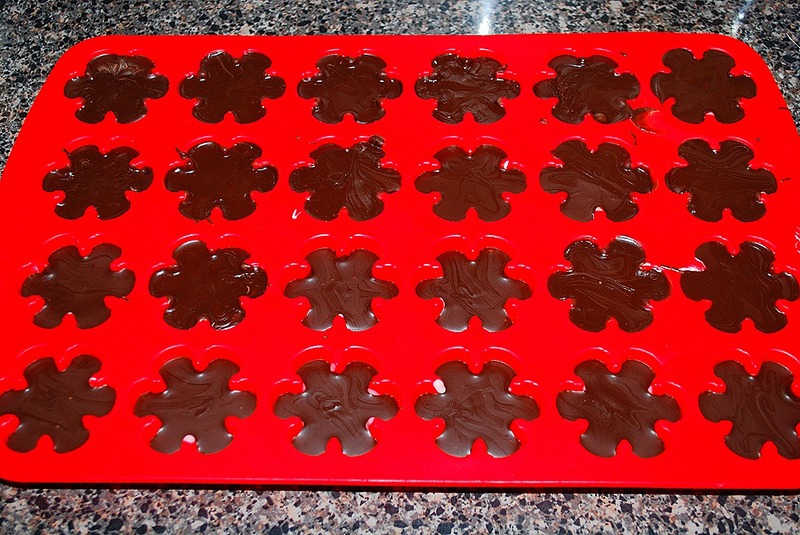 Tap the whole pan to have the candy spread out and till each hole. 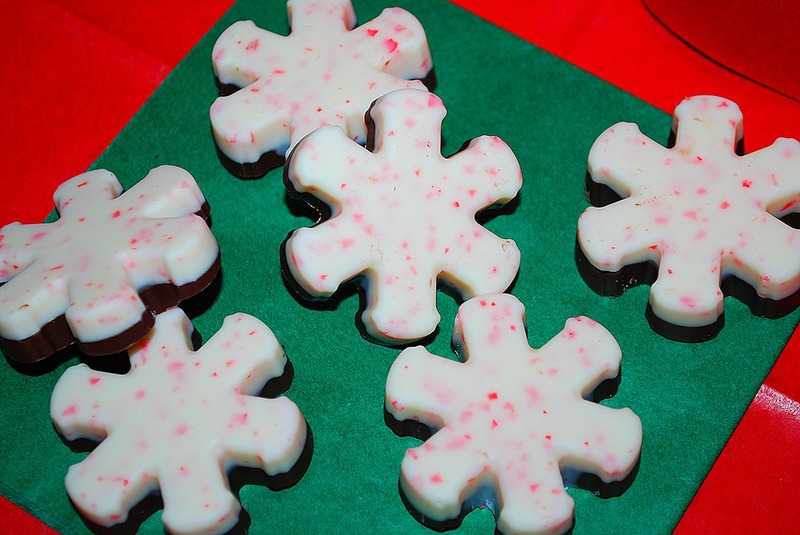 Once the peppermint part was set in the fridge, I poured the dark chocolate on top. You have to spread it quickly. With the peppermint being cold, it will make the dark set up and get hard pretty fast. With all of the dark done, pop it back in the fridge to set up again. When it is ready, they will pop right out of the molds. Easy as can be. These were great. They were crazy easy and super tasty. 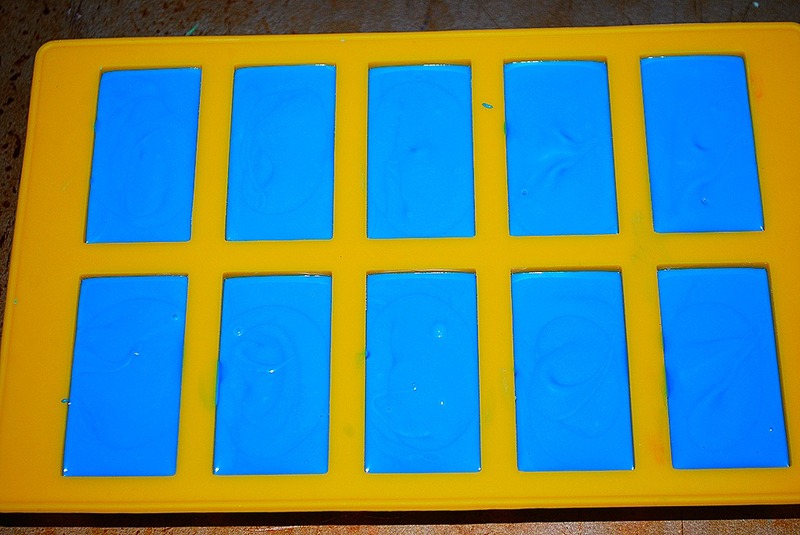 The molds made them easy to have perfect portions and cute designs for the holidays. I put them out at work and they were gone in about 10 minutes. 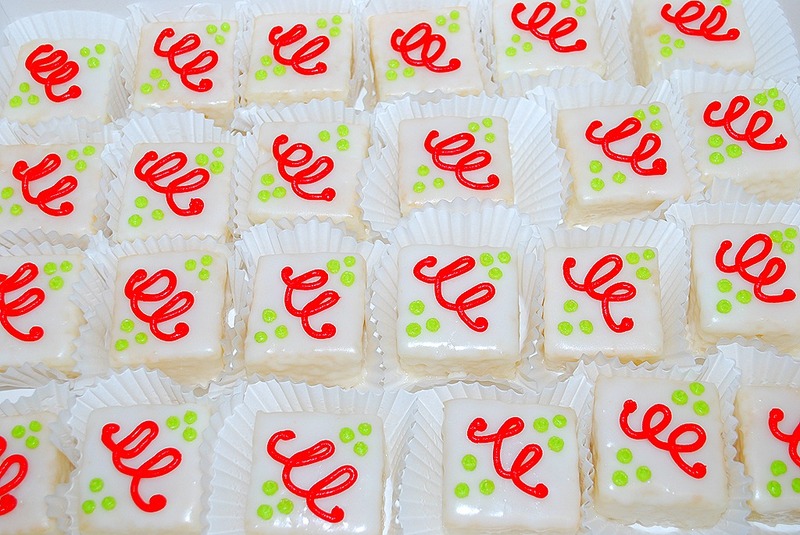 If you need a quick party treat, these will be a hit! Enjoy! !